I don't think that there is a nail tech that doesn't love glitter so when Glitter Express contacted me about reviewing their products, of course I had to say yes and try them out for you. That aside, as usual everything that I say is my own thoughts - I just need you to know that they were provided to me but I will always be honest. I have made a full video review of this brand click here to watch it. The first thing that impressed me was their shade chart. I love the way they've done this and I actually think that I would keep hold of this to show to my clients so that they can get an idea what the finished look will be with the topcoat on. It would also be brilliant if you were mobile as it saves carrying a ton of different colour pops! 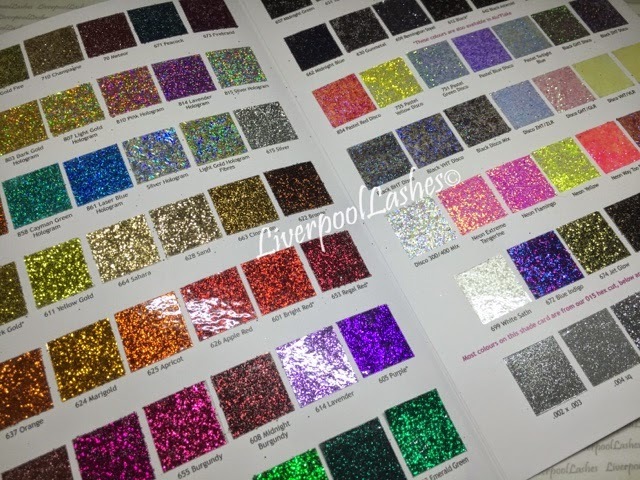 I honestly think that every glitter company should have this because straightaway I had spied more than 15 that I would happily add to my collection! As I say in the video, this company has manufactured for big brands including L'Oreal and Avon. 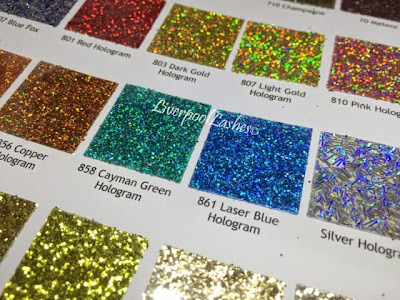 I don't consider myself to be particularly patriotic but I do like the fact that the glitter is actually made here in the UK - it's always good to support your own! I want to point out some of my favourites that I loved on the shade charts. Firstly (pictured above) is Blue Indigo which is a perfect mix of blues and purples. The other two are pictured below, they are Cayman Green Hologram and Laser Blue Hologram. 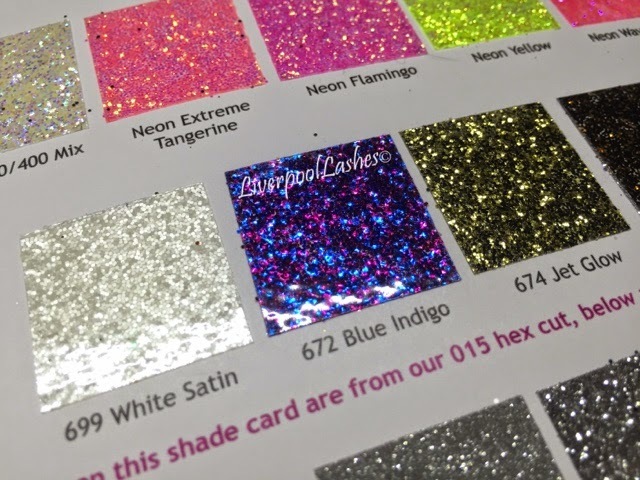 The price of this glitter is really competitive and very good value for money. 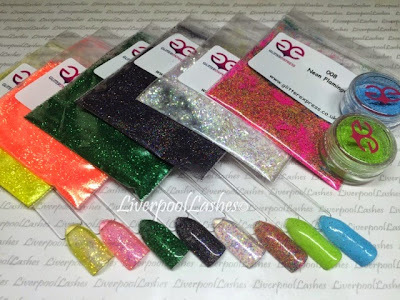 It does have a slight potential downfall that I did mention in the video which is that the glitter is supplied in bags are not pots but, it depends which way you want to look at it. I have no doubt that if they were supplied in pots they would be dearer and since I like all of my glitter still look the same, I always end up transferring them into the same style pot anyway. I know that this is been brought up with a couple of companies recently so you can be reassured that full MSDS sheets are available along with their ingredients lists. Here's my full review video here - I hope you enjoy it!